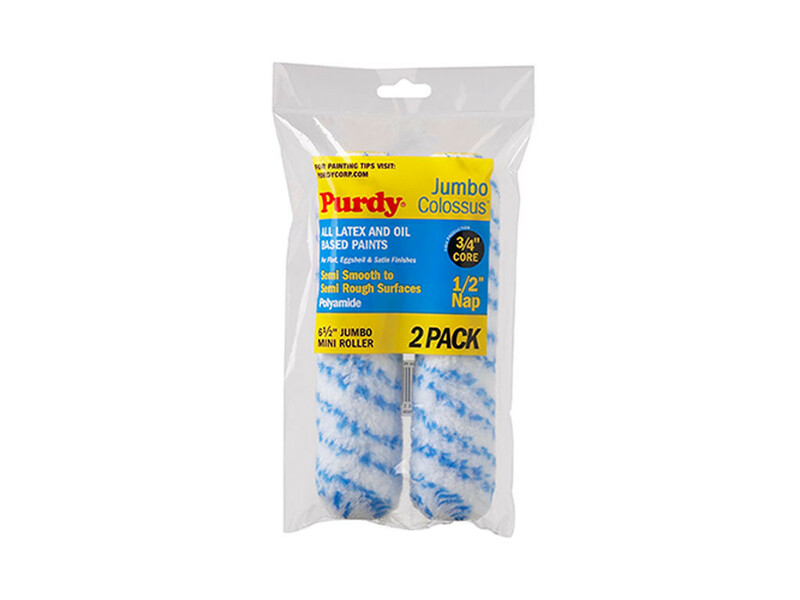 Purdy Colossus 1/2" (13mm) short pile paint roller that loads and releases an exceptional amount of paint. Designed for heavy-duty painting projects, this roller has hard wearing fabric thermofused to a 3/4" core, compatible with the Purdy Jumbo Frame or Wooster Jumbo-Koter Frames. It's short pile fabric is ideal for painting smooth surfaces and it's exclusive 100% polyamide formulation fabric lays paint off very smoothly and carries a remarkable amount of material to the surface without dripping or splattering. Suitable for use with all paints.